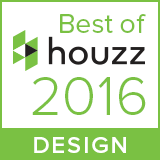 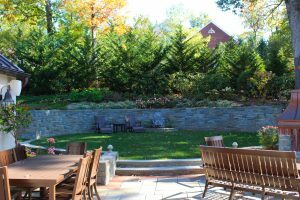 Hillside Living - Deborah Cerbone Associates, Inc. While a house on a hill can be quite grand, it can also present some extreme design challenges. 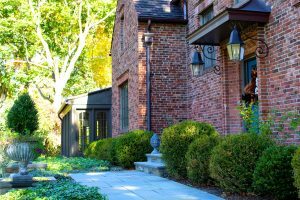 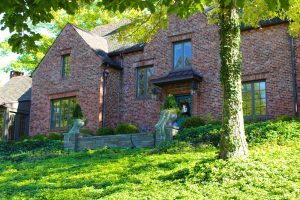 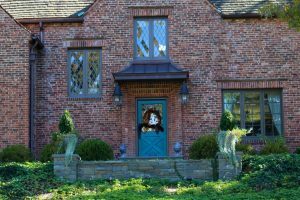 Prior to our landscape renovation, there were serious drainage issues, dangerous grade transitions and no real “usable” spaces on the property. 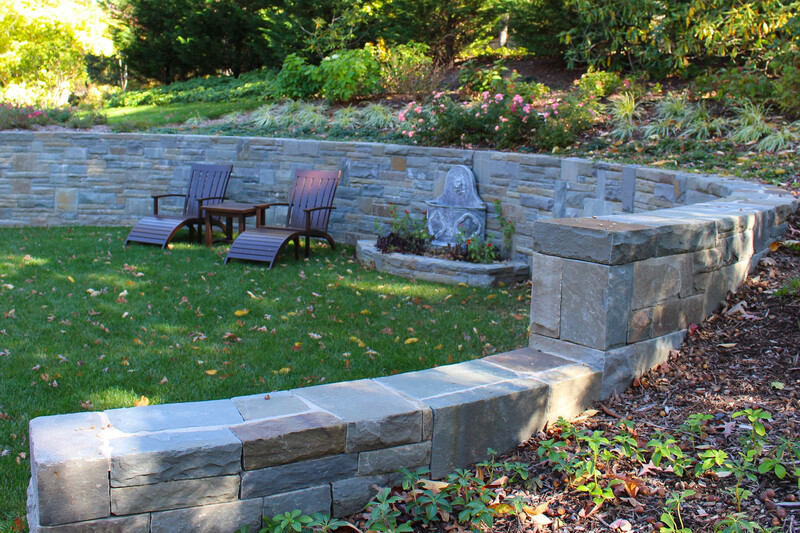 As part of our entire overhaul, a circular level lawn area for playing was carved into the slope with a stone retaining wall and a wall fountain as a central feature. 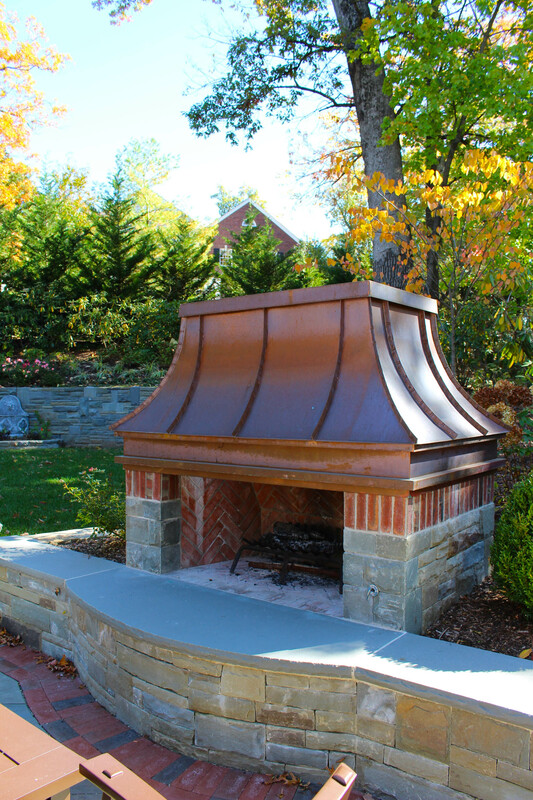 A shorter wall framed the steps down to a bluestone patio with a dining area and a custom fireplace with a copper seamed hood. 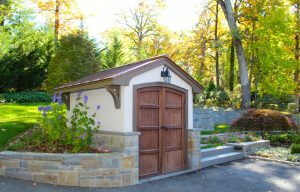 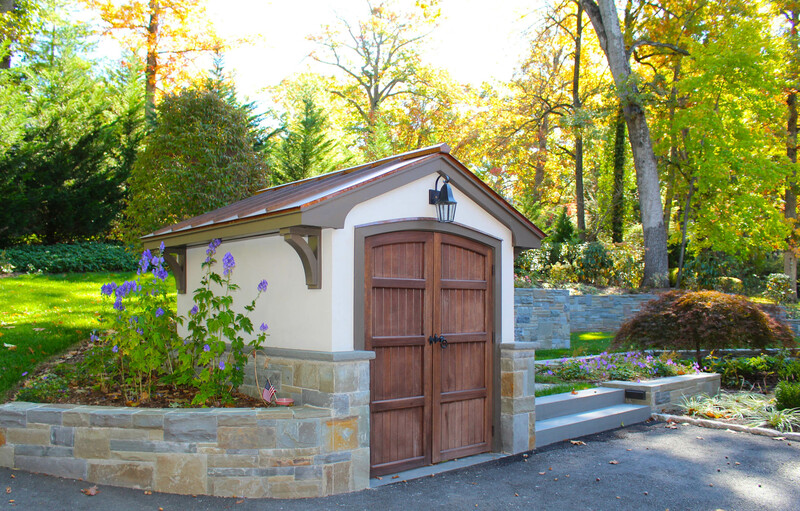 A shed for bicycle storage was tucked into the slope and detailed to mimic the house. 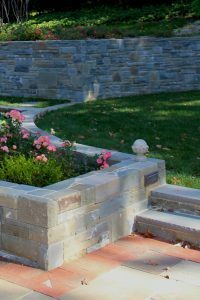 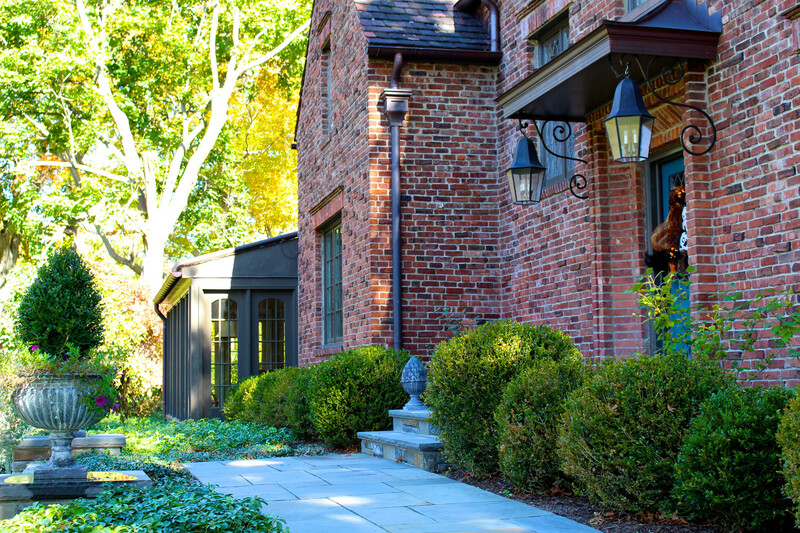 A woodland walk connects the back to the front where another retaining wall allows the expansion of the front entry landing. 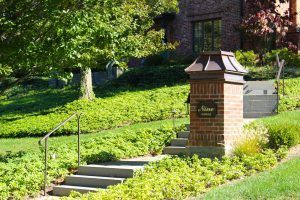 The sidewalk from the street to this landing was redesigned as a series of bluestone slab stairs with level bluestone walkways between them. 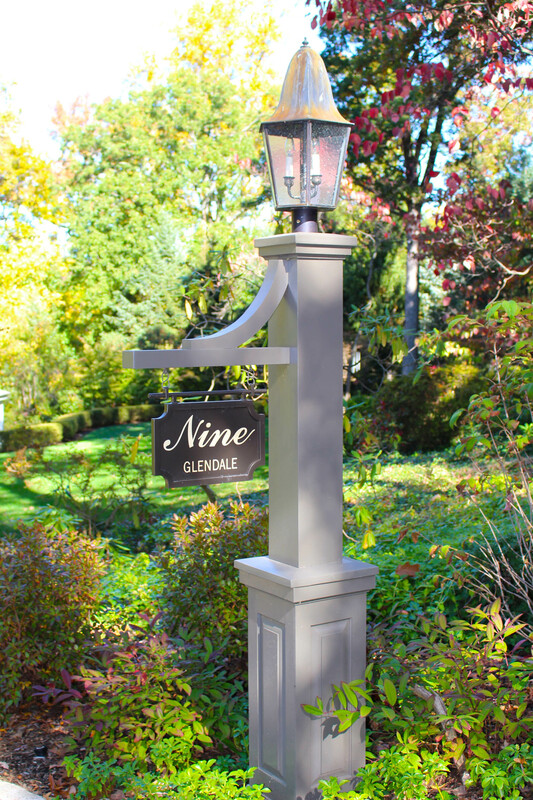 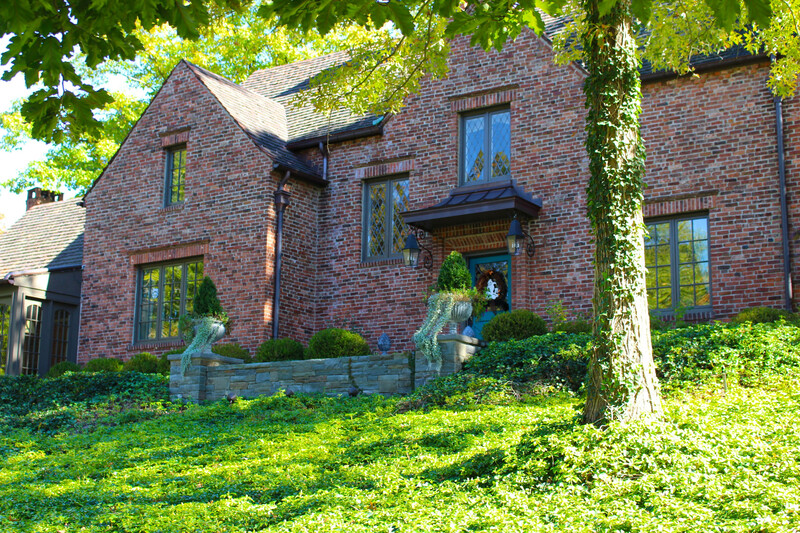 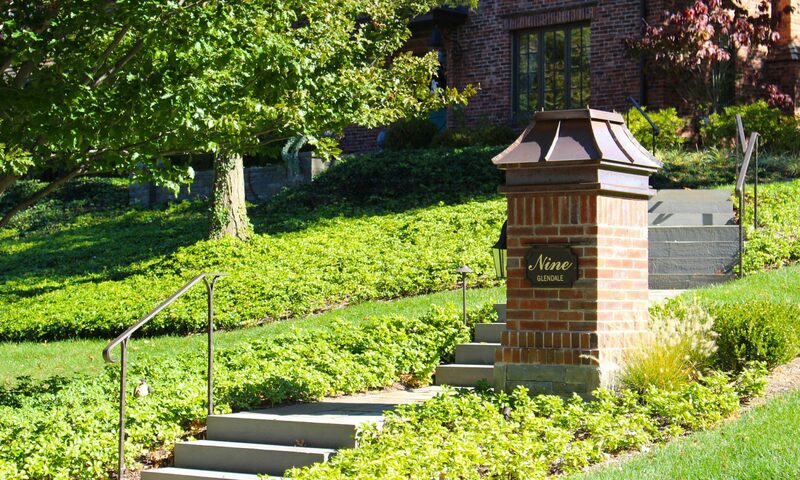 A brick pier with a copper hood to match the fireplace was designed for the street to display the house number and is illuminated by a wall sconce to match those on the house, while the street entry from the upper road to the garage was adorned with a custom lantern and house number plaque. 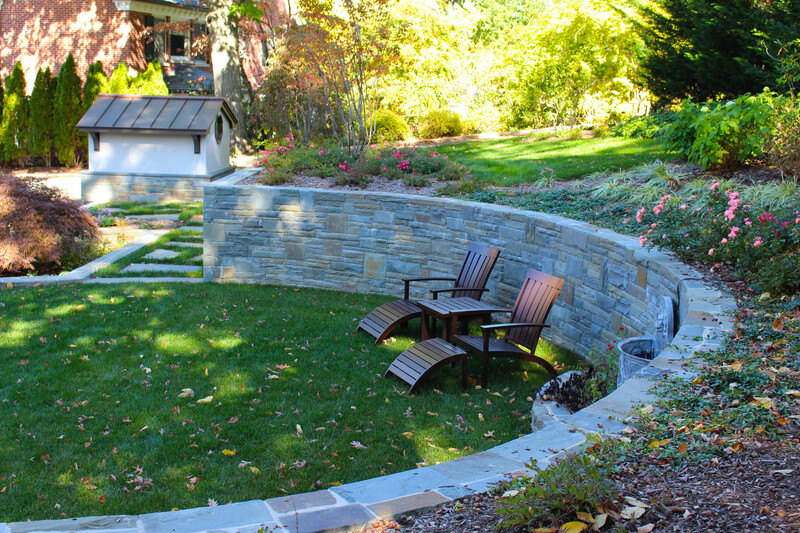 The owners now entertain friends outdoors on a regular basis, which they were never able to do previously.